I’m really bad at posting these on the right day, but I don’t care about this one because honestly blogging was the last thing on my mind last night. I got home from work, grabbed a sweatshirt, and ran out the door again because………. it was Twilight Saga Tuesday! I love our house! It’s huge for just two people, and everything is perfectly sized except for this linen closet. 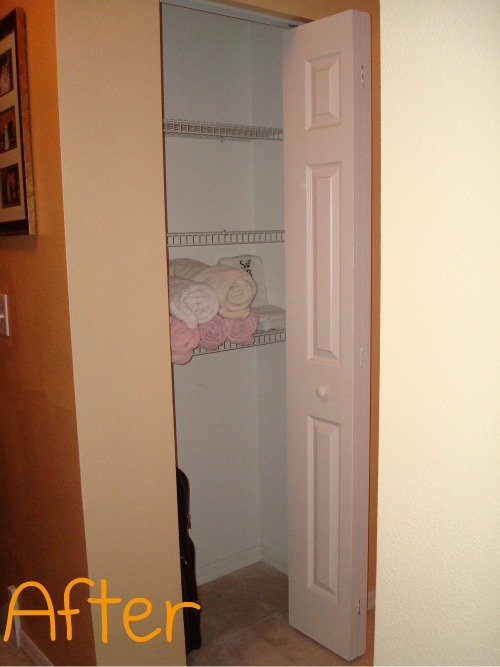 We have one linen closet for the entire house! And what did we do with it? Used it to store our board games. Remember when I cleaned out the buffet server in the dining room? 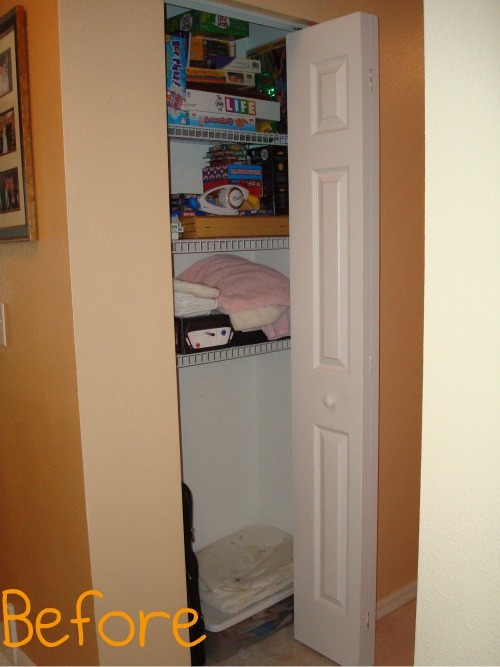 I brought all of the board games from the server and put them with the rest of the games in the linen closet. So my plan (and you’ll see it further down on my 30 list) is to move all of the board games into the spare bedroom closet. If anyone ever moves into that room we’ll figure something out then… but for now I need my linen closet back. This entry was posted on Wednesday, November 9th, 2011 at 8:35 pm	and is filed under 30 in 30. You can follow any responses to this entry through the RSS 2.0 feed. You can leave a response, or trackback from your own site.